Prof Cowling joined the School of Public Health at HKU in 2004. Prior to moving to Hong Kong, he graduated with a PhD in medical statistics at the University of Warwick (UK) in 2003, and spent a year as a postdoc at Imperial College London (UK). Prof Cowling has been the Head of the Division of Epidemiology and Biostatistics since 2013, he is responsible for teaching introductory modules in epidemiology and biostatistics on the MPH curriculum, and his primary research focus is in infectious disease epidemiology. 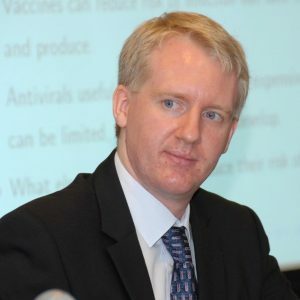 Prof Cowling is a member of the WHO Collaborating Centre for Infectious Disease Epidemiology and Control at HKU SPH. In 2015 he was awarded a Croucher Senior Research Fellowship for his work on influenza virus epidemiology. In recent years Prof Cowling has designed and implemented large field studies of influenza transmission in the community and the effectiveness and impact of control measures. His research aims to integrate information on transmission dynamics at the individual level with disease burden, severity and dynamics at the population level. His latest research has focused on the modes of respiratory virus transmission, influenza vaccination effectiveness, immunity to infections, and the potential causes and implications of interference between respiratory viruses. He has strong links with China CDC, and the NIGMS-funded Harvard Center for Communicable Disease Dynamics. Prof Cowling is a fellow of the Royal Statistical Society and a Fellow of the UK Faculty of Public Health. He is an Associate Editor of Emerging Infectious Diseases, a Section Editor of PLOS ONE, a Senior Editor of Influenza and Other Respiratory Viruses, and a founding editor of PLOS Currents: Outbreaks. He has 320 publications listed in Scopus, including 39 articles with 39+ citations (H-index of 39). Read more about Benjamin Cowling here.